Experts deem hydrogen peroxide an environmentally safe alternative to chlorine-based bleaches (sodium hypochlorite) because it breaks down into water and oxygen. 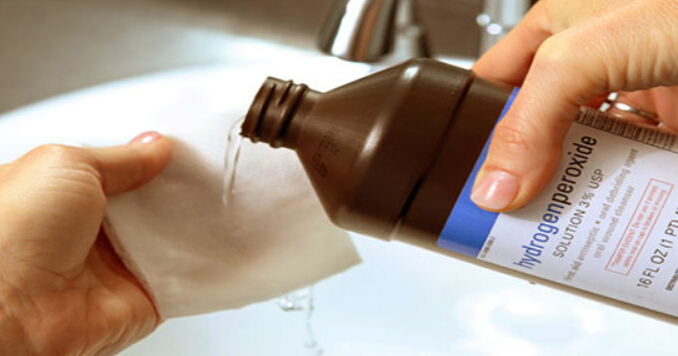 The Centers for Disease Control and Prevention (CDC) consider commercially available 3% hydrogen peroxide to be a stable and effective disinfectant when used on inanimate objects like kitchen counters and sinks. Because of its cleaning power, peroxide is used in labs and hospitals to sterilize surfaces, by destroying bacteria, viruses, and fungi. Mr. Lee asked, “Which is cheaper, bleach or peroxide?” The pharmacist explained that peroxide can cost more to buy upfront than household bleach for a similar concentration. For example, chlorine bleach commonly costs $2 to $5 a gallon, compared to peroxide, which may cost $10 to $14 a gallon. Therefore, in a straight comparison, peroxide seems more expensive. However, peroxide acts twice as fast as bleach and only half as much is needed to disinfect. Since less peroxide is required, it can end up being similar in cost to bleach. 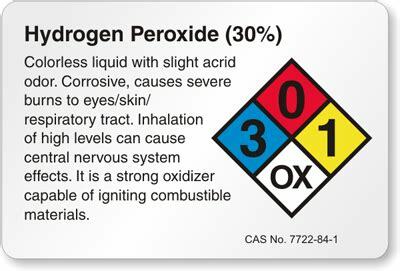 While 3% peroxide can be purchased anywhere, higher concentrations are available. For example, one can order 7% peroxide, which is safe to ship and handle. Higher concentrations (15% to 35%) may be available for pickup in one’s area. These cannot be shipped and must be diluted because they are corrosive. As a side note: rocket fuel can contain 90% hydrogen peroxide. Bleach is one of the most toxic chemicals in the home and is added to everything from toilet cleaners to dishwashing liquid and laundry detergents. As mentioned, bleach is very effective at killing pathogens. Nevertheless, the benefit does not come without a price. Bleach leaves a residue on every surface it is used to clean. 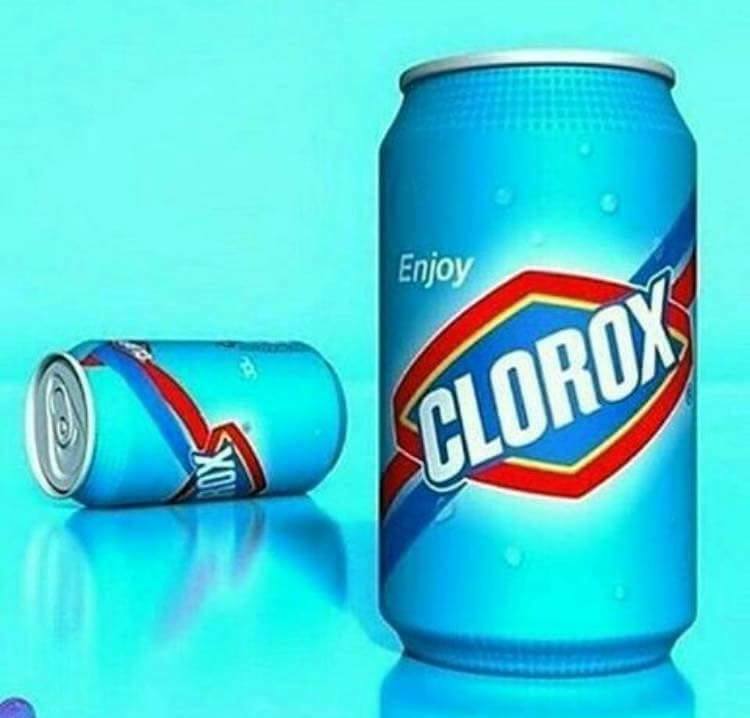 The bleach smell is actually chlorine gas that lingers in the air, affecting the lungs, and, like the residue, is even absorbed into the skin. Chlorine gas is extremely poisonous and was actually used during World War I as a choking agent, according to the CDC. Exposure to high concentrations of bleach fumes can aggravate some medical conditions. These include heart disease and respiratory problems such as asthma, emphysema, chronic bronchitis, and obstructive lung disease. Chlorine bleach reacts with ammonia, drain cleaners, and other acids, like vinegar and some toilet bowl cleaners. If one mixes chlorine bleach with these substances, chlorine gas is released, potentially causing pneumonia, chest pain, and death. Conversely, 3% peroxide can be sprayed all over the house – shower walls, countertops, toilet seats, and toothbrushes. Add a quarter cup of 3% peroxide into a sink full of water for a safe fruit and vegetable wash that may help kill E. coli and other bacteria. Swish the produce in the solution, then rinse and drain. Dab it onto insect bites and other small cuts and abrasions to disinfect them. Use diluted hydrogen peroxide as a mouthwash. And, unlike bleach, peroxide is odorless.